First turn the phone completely off and remove the battery if possible. Use a Q-tip and some rubbing alcohol and clean any debris or oxidation off of the SIM slot contacts. Don’t let the rubbing alcohol get everywhere inside you phone as this can damage it. Clean the SIM card and the SIM contacts until the metal is shiny and no oxidation is visible. Once the SIM and contacts are clean and dry, put the phone back together and turn the phone on. If the phone fails to recognize or read the SIM card, then most likely the actual SIM card has just simply gone bad. Most phone companies such as AT&T, T-Mobile, Verizon and Sprint will give you a free SIM card since you are already a customer. Just go to the nearest store or kiosk and tell them your issue and 99% of the time they will install and setup a new SIM for you. I own a Lycamobile NUU A3 cell phone and I just added minutes to my phone, at first i could make calls and receive them. i tried to get on line and the phone read offline. this morning and yesterday morning it read NO SIM CARD but there is a sim card in the reader. my lumia 535 dual sim card when i switch it off and on then one sim is not working. But when i switch it on for the first time all sim cards where working without problems. Thank you guys. It worked with my Samsung Galaxy 7 SIM CARD. My phone is cracked but now I can make calls and text! I have an iPhone 6S plus replica sometimes when i turn the off and back on it comes up with all this chinese writing and i have no idea what i have done. Just pushing the on and off button to get rid of it there was only one bit that was in english that said sim card. I have no idea what that meant and so i just kept pushing the on off button and then phone switched off and when i turned it on again it was back to normal. Now my phone will not read my sim card. I am pretty sure it had something to do with all that chinese writing i have pushed something and now i have no clues as what to do? If you have an iPhone 6 Knock-off or fake iPhone 6 made by a Chinese company with a Chinese name on the phone, then when you restart the phone it may show Chinese writing. It may have asked you in Chinese about using the SIM card and you accidentally pressed NO. – If the phone will still not recognize your SIM, give us the NAME and MODEL NUMBER of your fake iPhone. Or ask your phone carrier for a new SIM and see if that works. Does the phone camera still work if the SIM card isn’t recognized? Yes the camera on any phone will still work if no SIM is inserted. The camera images are stored on the drive of the phone not the SIM. I have a Spreadtrum phone. I bought this three months ago. I just opened its engineering mode, checked all of the frequencies then I used it. After I restart the device, I typed the 2 SIM PINs then after few seconds, it shows that there is NO SIM detected. I tried Factory Data Reset it but its still happens. The engineering mode may have changed something in the phone. Try another factory reset and see if there are any updates to the phone and try the SIM pins again. Are you putting a SIM in the phone or just inputting the data from the SIM cards? What is the model number of the Sreadtrum phone? My phone (xolo A500s) CDMA card slot is not detecting sim card. Just searching and cross is appearing on the range display area. Please help. 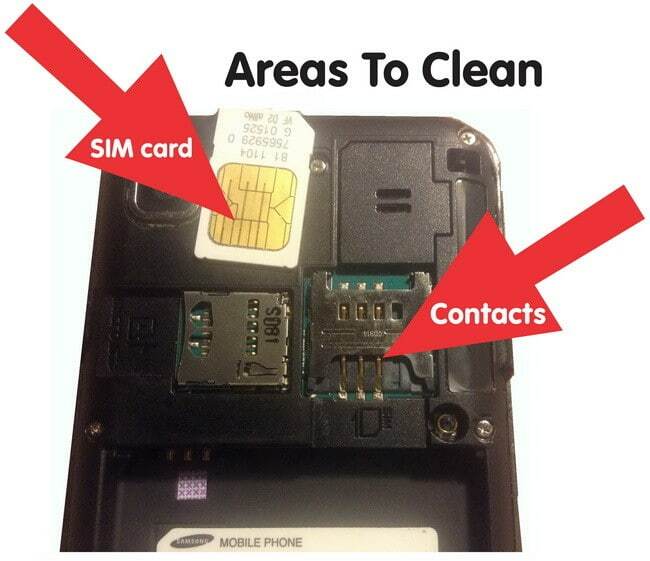 Clean the area with rubbing alcohol or get a new sim card. My Samsung Galaxy S6 Edge keeps popping up… “Sim card is not readable” and I have pulled it out and blew inside of the card slot. It still says that its unreadable. What can I do? Why does it say that? My Nokia Lumia 530 sim slot 1 is not working properly. How can I solve the problem? Try cleaning the sim card and the sim slot with rubbing alcohol as suggested above. If cleaning does not work, you may have either a bad sim card or the sim slot on your phone is damaged. I have bought a Motorola mobile and sim card has been shown in the phone, but the contacts in sim are not shown in the mobile. Please tell me what is the problem? Contacts-> menu key-> import/export-> import from sim card. The problem is the minute the sim card is detected, the next minute it’s not, and the phone restarts. Help. The best solution here is to go to your phone carrier and request a new sim card. They will give you a new sim card if that is the cause of the problem. If not it may be your phone. I just purchased a Maxwest Phablot. 7.0. And it will not read any Sim card. I tried cleaning it with rubbing alcohol. And it still is not reading them. I also have 2 slots for the Sims. The first slot is broke. At least the second one should work. I spent $150 for this thing. Please help me. Some of the really cheap Chinese tablets have issues with the sim card slots. We have seen this issue many times. You could try a different sim card to see if the one you are using is bad. If it is a good working SIM, then return the tablet to where you bought it from as it was probably not working from the time it was manufactured. Clean sim with running alcohol. My phone fell off and when i turned it on, sim card was not recognized. It says that there is no sim card. What will I do? 3. Carefully remove SIM card. 4. Check SIM card for damage such as cracks. 5. If damaged, go to nearest phone store and ask for new SIM. 6. If not damaged, use rubbing alcohol and clean SIM and where it slides into. 7. Let rubbing alcohol fully dry. 8. Put SIM back in phone. 9. Put back cover back on. 10. Turn phone back on and it should recognize your SIM. My Samsung Galaxy A7 has a dual sim tray, the sim tray 2 at the same time memory card tray also.. the problem is.. my sim 1 tray is not functioning when i put a sim on the sim 1 tray after i restart the phone it appear on the screen “NO SIM”. but the sim 2 tray is functioning but if i use the sim 2 tray for sim card, i cannot use memory card.. how could i fix my sim 1 tray?? If i return it to Samsung store is there a possibility that they replace my unit? First try to use a q-tip and some rubbing alcohol and clean the sim tray. Also clean the sim card. If that does not work either the sim card is not working or damaged or the sim slot is damaged. If nothing helps, call Samsung and see if they will accept your returned product. I cleaned my SIM card and now works like a charm!! Depending on how the contacts were saved on the previous phone, the sim card may not have the contacts on it. 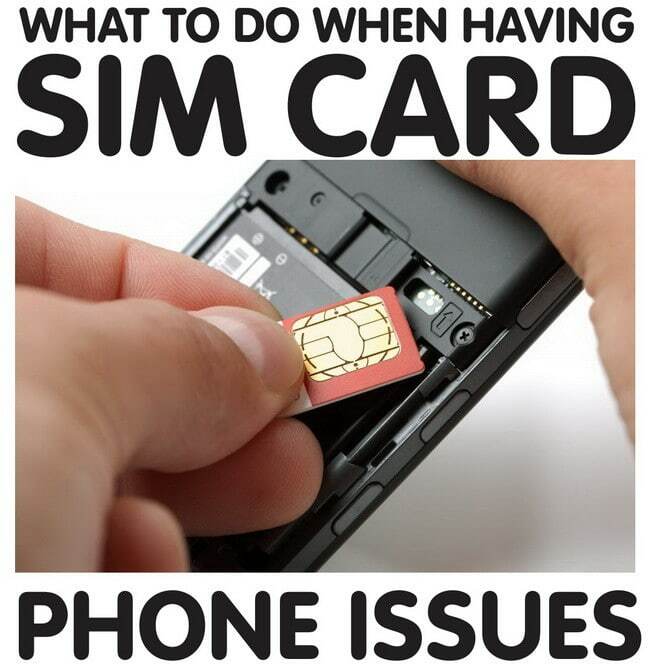 If you have the old phone, put the sim card in it and save the contacts to the sim card. Then put the sim card in the new phone and the contacts will show up. Most phones let you save the contacts to the PHONE itself or the SIM card. Nice to knew how to solve SIM problem before contacting customer care.This one worked to my Latest AUXUS Nuclea N2 with OLD SIM card. I have 7 year old SIM card that didn’t want to lose. I’ve replaced the battery on my phone and suddenly the phone couldn’t recognize it the SIM. I tried the card on another phone and it still would not recognize. However, both phones recognize some other SIM card. So I only gently cleaned the SIM card with alcohol and cotton wool until it shined. I let it dry and now it recognizes. THANKS. I don’t quite agree that the SIM card has most likely gone bad. I had a Sony Ericsson and I was recently forced to get a new smartphone because my old phone just wouldn’t recognize my SIM card. When I plugged it into the new phone, it worked perfectly. I think my old phone has gone bad in this case. nokia lumia 701, the sim reader does not function, how much is the sim reader? There are shops that will repair that for you for around $15 to $25 dollars. Do a local Google search and you will be able to find a repair shop.